U.S. News & World Report’s national survey of children’s hospitals has again ranked Children’s Hospital Los Angeles the top pediatric medical center in California and No. 6 in the nation. 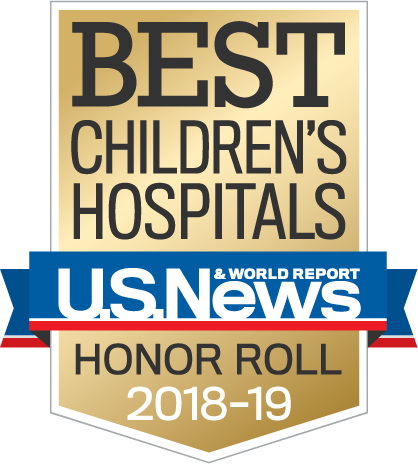 The publisher’s prestigious Best Children’s Hospitals rankings also included CHLA for its exclusive Honor Roll for the 10th straight year; CHLA has been selected for the esteemed list every year since it was introduced. U.S. News & World Report’s ranking affirms Children’s Hospital Los Angeles’ status as a premier health care institution. Our achievements are a direct reflection of the extraordinary skills of our physicians, nurses and clinical staff, who combine passion and expertise to deliver superior patient care. Combined with Magnet® designation and the hospital’s repeated Top Hospital ranking for patient safety and high-quality patient care from The Leapfrog Group, U.S. News & World Report’s ranking of CHLA as California’s top pediatric medical institution places it at the forefront of child health care nationally and globally. Read CHLA's press release on this year's rankings.